Do you wish to have your own home in the prime location of the city? Are you seeking professional assistance that can help you in acquiring your dream home? 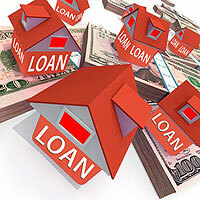 Are you falling short on fund for property transaction and seeking help for acquiring loan? Well, we can help you in such matters. Rama Properties is a primer property realtor, specialized in providing assistance for getting a loan at easy returns and low interest rates. We are based in Faridabad (Haryana, India). We share amicable links with reputed lending institutions including HFCE Housing Finance, ICICI Home Loans, PNB Housing Finance, Home First Finance, YES Bank and TATA Capital Finance. Contact us anytime for further discussion.